Keukenhof is one of the most beautiful places I have ever visited. It is also known as the Garden of Europe, is one of the world’s largest flower gardens. Keukenhof is located in South Holland, south of Haarlem and southwest of Amsterdam. Approximately 7 million flower bulbs are planted annually in the park, which covers an area of 32 hectares (79 acres). 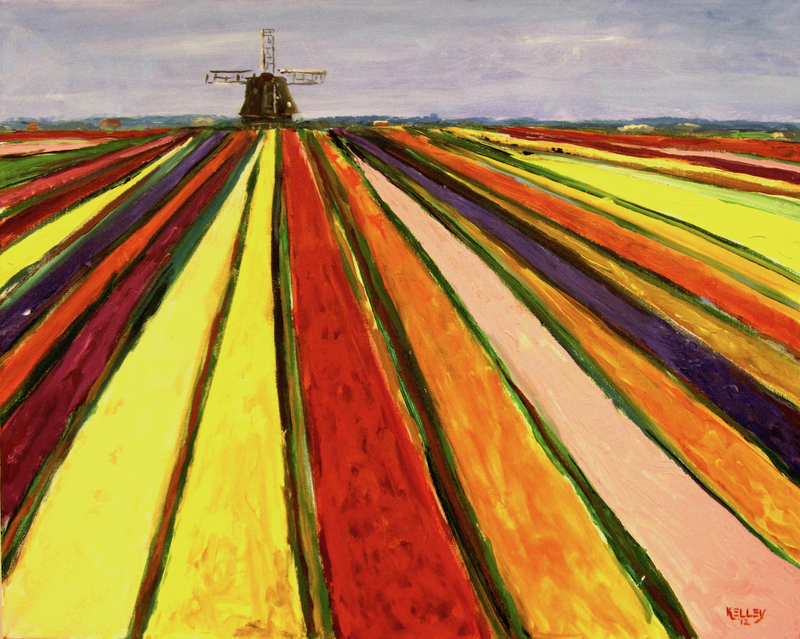 The painting is of one of the tulip fields at the Keukenhof. The colors are unbelievable. Details:Acrylic on Stretched canvas. 80 x 100 cm; 31.4 x 39.6 inches;Price:Sold. In a private collection in Moscow, Russia.